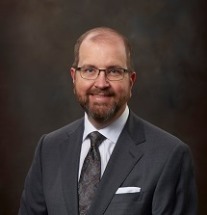 T. Scott Galloway has helped thousands of people with their real estate transactions and disputes through negotiation and litigation. Mr. Galloway offers clients practical advice and useful insights gained through years of representing individuals, investors, small businesses and religious institutions, real estate brokers, landlords and commercial tenants, contractors and other real estate professionals. Whether your legal matter involves an investment, your business, home or vacation property, Mr. Galloway can help you achieve your objectives. Service to real estate professionals has defined Scott’s efforts over the last several years as a Board Member for the Greater Metropolitan Association of Realtors (GMAR) and also the Chairperson of the Affiliate Committee. Mr. Galloway is a frequent speaker at GMAR continuing education classes and participates in a wide variety of activities on behalf of the organization. Mr. Galloway was instrumental in the creation of the Greater Realtors Foundation and currently serves on its board. This Board has focused its efforts in placing trained service animals with veterans suffering from a variety of physical and mental impairments. He was also recently appointed to the Government Affairs Committee of GMAR. In 2018, Scott Galloway was recognized as the Women’s Council of Realtors Birmingham Bloomfield Chapter as its Strategic Partner of the Year and GMAR recognized him as its Affiliate of the Year. Another area of concentration for Mr. Galloway has been assisting religious institutions assess their facilities and develop strategic plans for their property that allows them to further their core mission. In this capacity, he has served as the legal counsel for several churches assisting them with a wide range of matters including the disposition, acquisition or development of their real property. Mr. Galloway is a former two-time Mayor Pro Tempore and three term Councilperson for the City of Ferndale. In that capacity he served on the Ordinance Committee, the Finance Committee, Board of Zoning Appeals, Planning Commission, and the Police and Fire Board. He has served on the Boards of the Boys and Girls Club of Oakland and Macomb Counties and the Ferndale Education Foundation. He is also a member of the Real Property Law Section (RPLS) of the State Bar of Michigan and the Birmingham-Bloomfield Women’s Council of Realtors. Mr. Galloway is a frequent contributor to the Institute of Continuing Legal Education (ICLE) and the RPLS. His previous legal experience includes work at UAW Legal Services Plan, Oakland/Livingston Legal Aid, Illinois 8thJudicial Circuit, and the International Union of the United Auto Workers. Mr. Galloway is an Elder at the Drayton Avenue Presbyterian Church in Berkely and a lifetime member of the Sierra Club. In his free time, he enjoys home improvement projects, gardening, camping and bicycling.